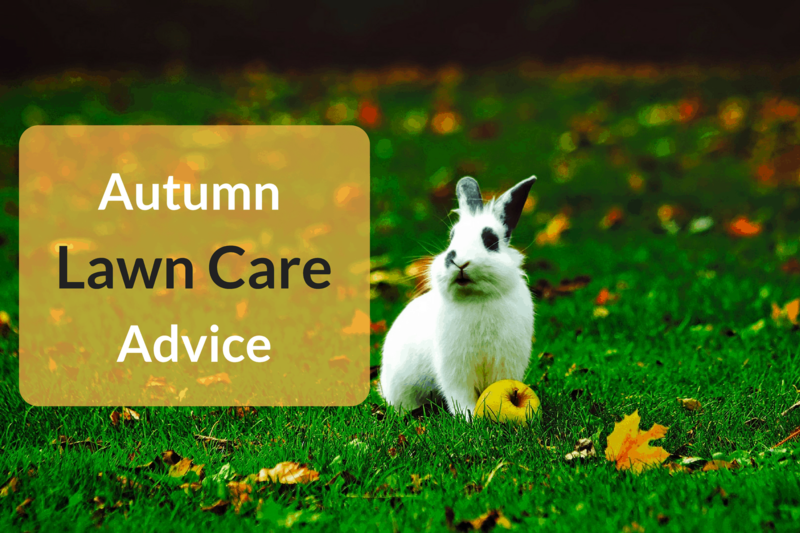 So that your lawn is prepped and ready for the harsh winter conditions there are a few jobs you’ll need to carry out to strengthen its roots throughout autumn. 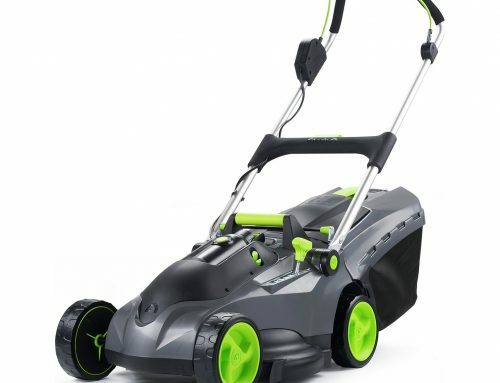 They not only make sure your lawn survives the cold temperature and poor growth but also allow you to get to work right from the get-go in the following spring without any setbacks. 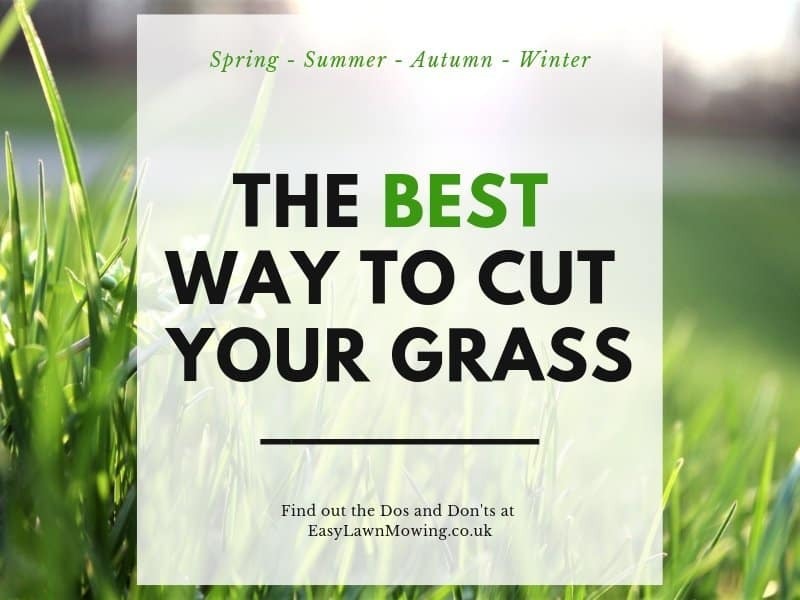 Just follow my advice below and you’ll be well on your way to a properly prepared lawn. The key is to do this gradually. 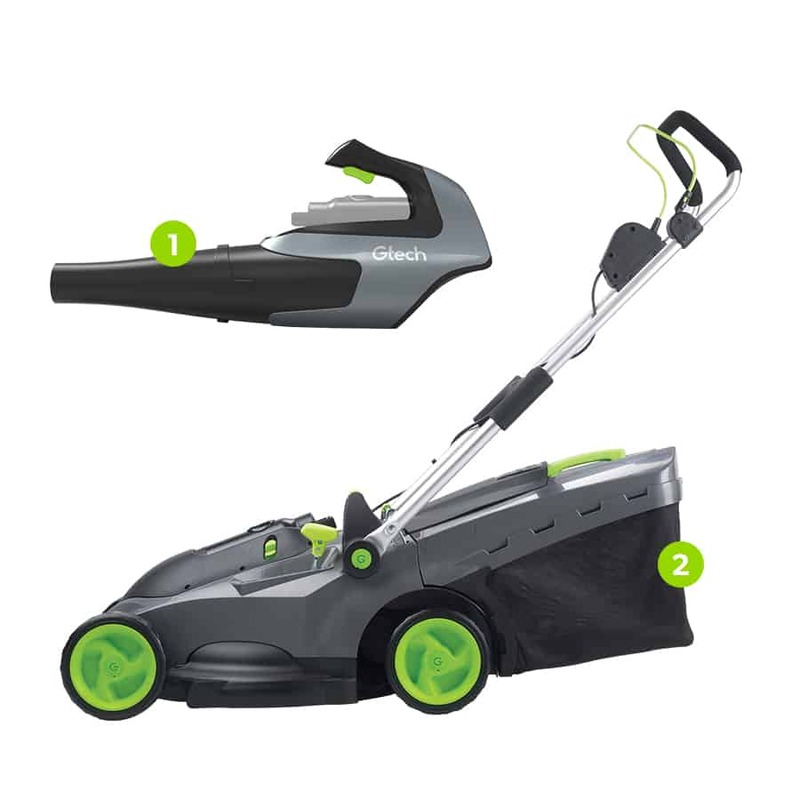 Now in most cases you want to keep the mowing height quite high to make sure you don’t cut the grass too short. Although, this isn’t the case for the last two mowings. You can actually set the height lower than usual to promote better sunlight exposure for the grass blades, especially the shortest ones, which therefore promotes better growth. Your lawn is most going to go through quite a tough time during winter so it’s best to strengthen its roots as much as possible, this means giving it the nutrients it really needs is essential. By applying a fertiliser you’ll help strengthen its roots to promote better growth and help it combat diseases, just make sure you use an organic mix as the results produced with synthetics will be short lived and don’t contribute to the long term health of your lawn. You might not see immediate results but it’ll be well worth it in spring. Also make sure you use a fertiliser designed for autumn instead of one designed for spring. Autumn lawn fertilisers are high in potash and potassium which help protect the lawn in frosty and icy conditions. Spring fertiliser on the other hand are high nitrogen which promotes soft and sappy grass growth, this will fall victim to the frost resulting in either disease or damage or both. As I said, you want to begin spring without any setbacks and applying the correct fertiliser is crucial in order for you to do so. 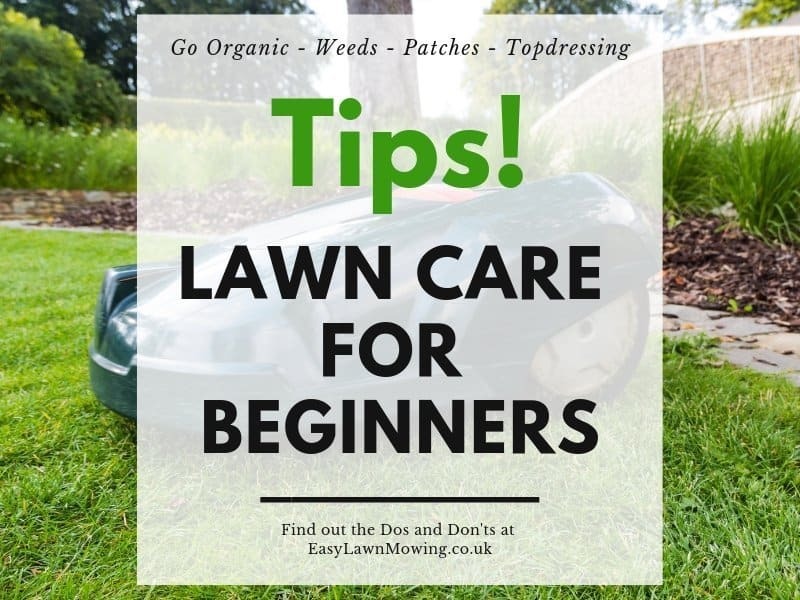 If your lawn has any slight bumps and hollows then applying a topdressing can even it out – as well as correcting surface irregularities, improving the texture of the soil and thickening out the turf. 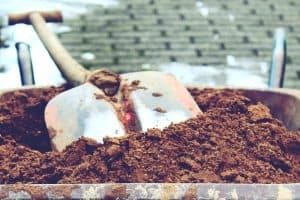 You want to apply the topdressing is dry and make sure you add a mix that is three parts sandy loam, six parts sharp sand and one part compost. Work in using the back of your rake until it covers all bumps and try to get a coverage of about 2-3 kg per sq metre. For more info on applying your topdressing get out my post “How to Top Dress Your Lawn“. Layers of thatch can prevent proper penetration of water and fertiliser to your grass roots so clearing the amount of dead grass, dead moss etc. found on your lawn is very beneficial. To dig up all the thatch drag a spring-tined rake through the grass until you have covered the whole lawn, or until you feel you’ve dug it all up. This will free up loads of space for you to access the grass roots so you’re best applying your fertiliser after you’ve cleared up all the remaining thatch. Autumn is a much better time to do this rather than spring. The lawn is far less delicate now than it would’ve been near the start of the year so you can dig a little deeper and rake less delicately. This is another process that opens up access to the grass roots. 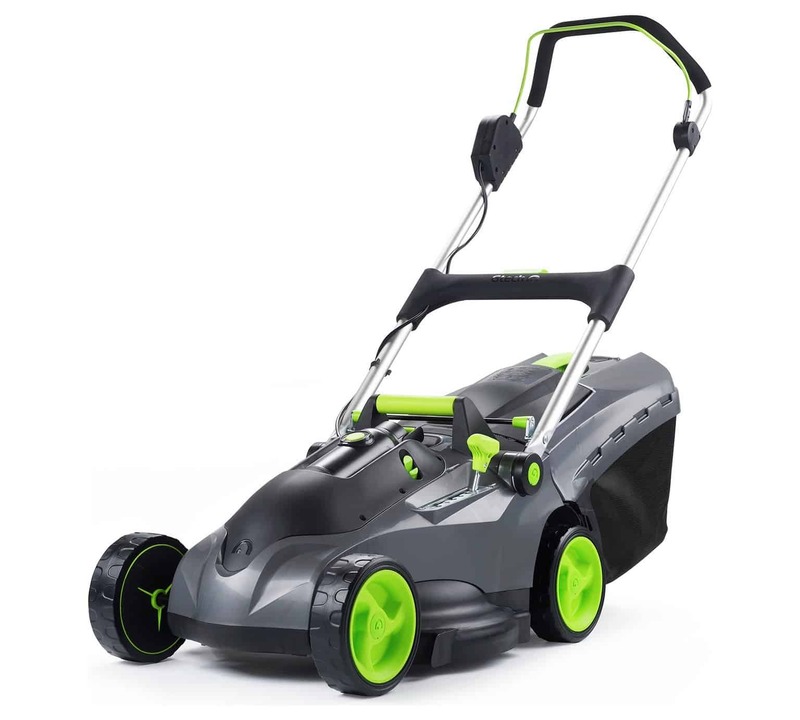 This is great for reducing soil compaction, helps the lawn cope better with drought and heavy rainfall, and allows for better movement of air, water and nutrients within the soil. 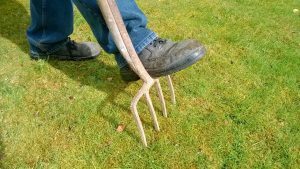 If you don’t have any severe problems then you will be fine using a garden rake to puncture the holes (aim for about 10-15 cm apart), but you need to treat damage caused by water-logging or soil compaction then you’re better going with a hollow-tined aerator. The extracts plugs of turf which gives even better access to the roots, just make sure you rake them all up and apply your topdressing afterwards. If you have bumps and hollows that are little too big and deep to be dealt with topdressing then you’ll need to make adjustments to the lawn. Make sure you keep these watered over the next few weeks to ensure proper growth. With all these jobs carried out properly I’m positive you’ll have something great to look forward to next spring! Just read your autumn lawn care advice. 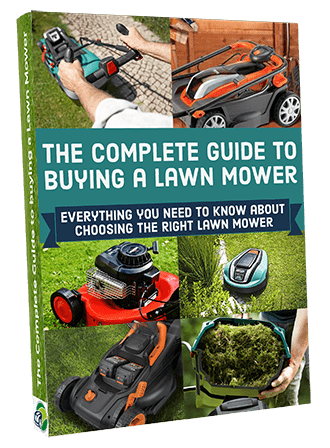 Very informative post that covers all the aspects including things to consider in the Fall like Mowing, Feeding, Top Dressing, Scarifying (thatch removal), Aerating and Leveling The Lawn. 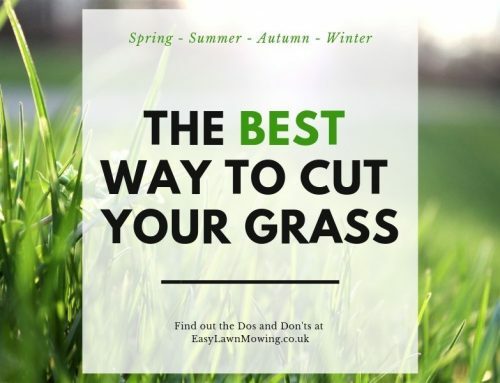 I personally love to have a green healthy lawn and this was a good reminder that you can take some fairly simple and low labor steps to ensuring your lawn is healthy in the Autumn helps to have a healthy green lawn in the spring. The video was helpful and was a great visual. I learned something new, an easy way to aerate and some great seed, feed and grass growing products. Brilliant I’m glad you enjoyed it and learned something new! Nice article! very thorough. However, that lawn had no weeds or crabgrass like my lawn does. How and when do I get rid of these invasive plants? I have no doubt you have a solution so if you have the time, I could use your help. Thank you for the great article! Thanks Karl! 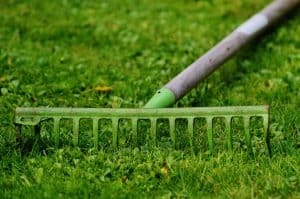 The best way to combat weeds is to keep your lawn as healthy as possible, if you’ve been having quite a big problem then maybe there’s something you’re not doing. 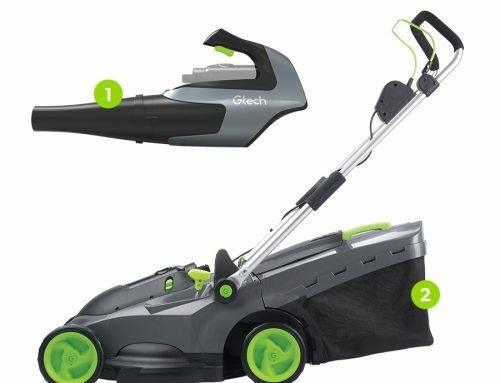 I think the best course of action for you is to check out my posts on lawn care for different seasons – here’s for summer and here’s for spring. 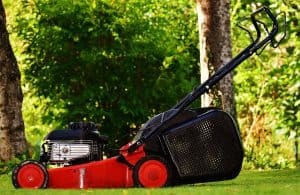 By following the advice in these posts I’m sure you’ll get your lawn to a state where it’s strong and healthy enough to prevent all weeds from appearing.